With hearts of gold for our local, furry friends, the members of Atascosa Animal Allies are encouraging owners to spay and neuter their pets. 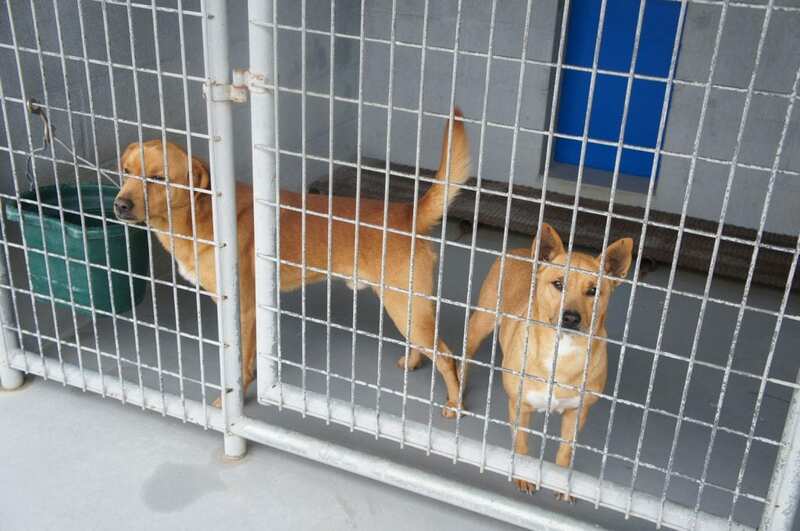 The non-profit organization formed in October 2017 and has a contract with the City of Pleasanton Animal Shelter to find homes for cats and dogs. 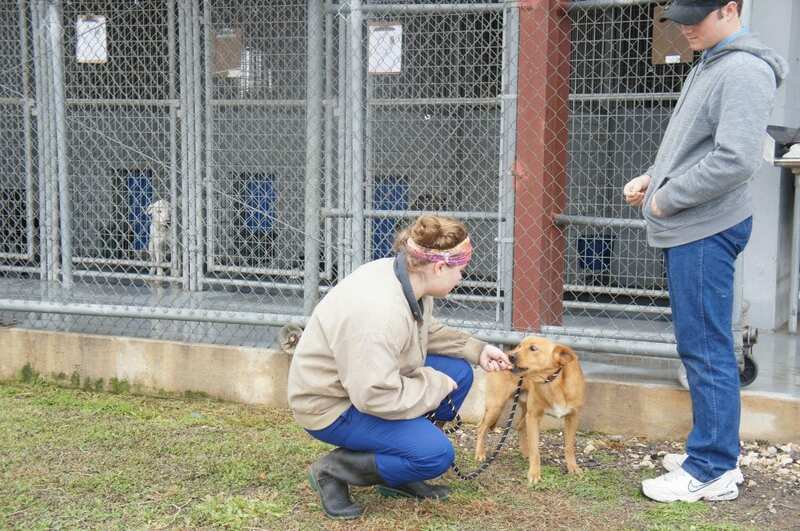 On Saturday, Feb. 3, the group held a volunteer work day at the shelter on Hunt Street, vaccinating and testing dogs. They encouraged the public to adopt a pet and learn about what they do. Among the members assisting that day were Caron and Eldon Tuttle, Sue Samsel, Shannon Harvey and Cindy Vickers. Volunteers included 4-H member Chloe Jackson, and Isaac Kumaus, a recent graduate who served in 4-H last year, and Tilden FFA member Charlsie Harris. The organization saw a need to help save animals. They currently have a few donations from the community, but very little. The hefty price of the work they do is coming largely from the members’ pocketbooks. “We are pretty much funding this ourselves. 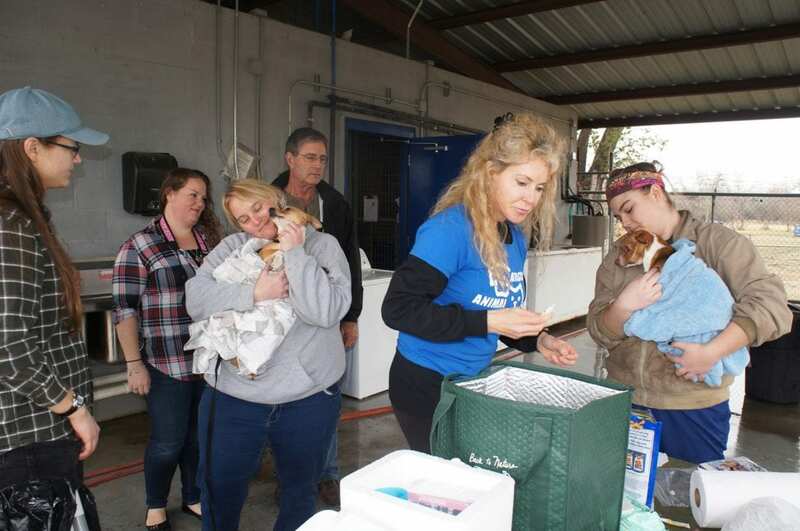 The biggest problem is that we need to enforce spay and neuter laws,” Caron Tuttle said. 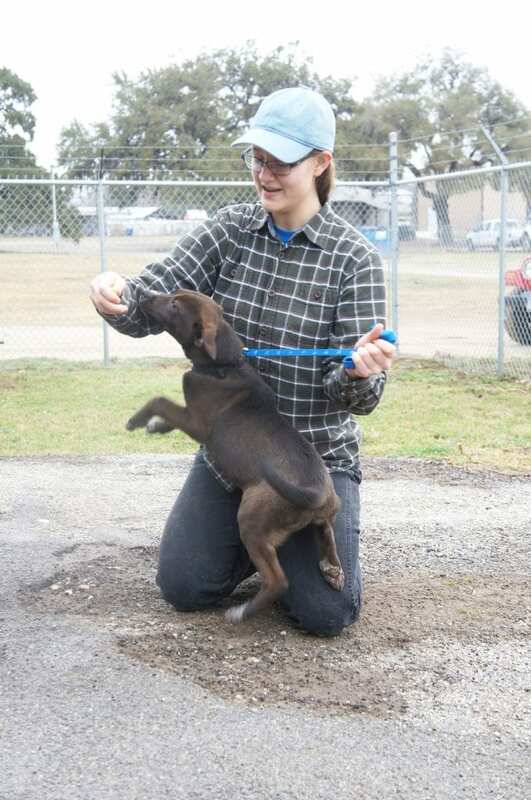 If everyone would spay and neuter their pet, Pleasanton and Atascosa County would not have this problem, she explained. Members even spay and neuter them before they give them to the people that are adopting them. The group works with other rescue groups, who send them to states up north like Michigan, Washington and Minnesota. Friend Vicki Eckert with Tri-City Animal Sanctuary offers a voucher for a free spay and neuter. 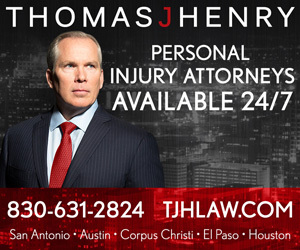 Residents can contact Eckert to receive the voucher. Then they need to take the animal to Humane Society Brooks Spay and Neuter Clinic in San Antonio. It is only a 35-minute drive for the free spay and neuter. “They can also go through us and it would be $65 which is still considerably cheaper than the area vets,” Tuttle said. Generally, the regular price to neuter a male cat is $165. Tuttle took a cat to Brooks where it was $35 instead, a much less expensive cost. The group is asking for volunteers- more people to help with the great work that they do. Along with the vaccinations, members also perform the bordetella of the nose, which keeps them from getting the kennel cough. She pointed out Navigator in the shelter, a white, part lab dog who was headed the next day to a rescue group. Tuttle described him as a very sweet dog who had been at the shelter for a couple of weeks. Despite being posted on their Facebook page and the Pleasanton Animal Control Facebook page, no one had come forward for him. Too often, shared Tuttle, people see a cute kitty or puppy that they want. However, when the animal grows up, the family does not want to invest in the time training the dog or loving the dog. 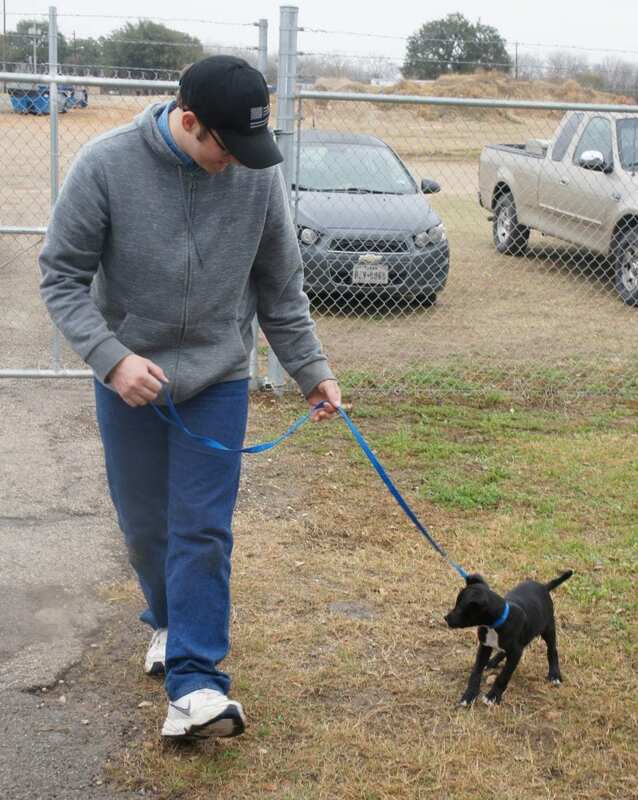 At the volunteer workday, members vaccinated and recorded information on the dogs that came in. They dewormed the dogs and did flea and tick medicate preventative on them. Tuttle posts the information on their Facebook page and then tags different rescue groups. She shares the dog’s description, temperament, etc. 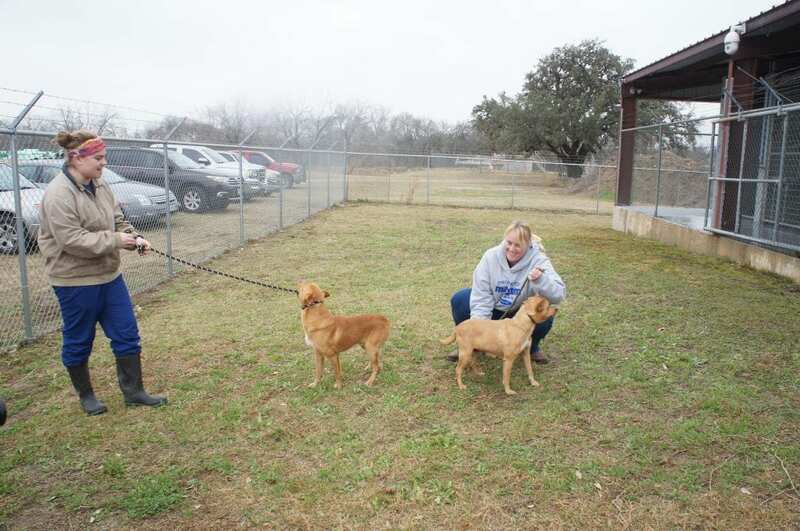 Atascosa Animal Allies also have to go get the health certificates, which adds another $25. It shows that the doctor is signing off and verifying that the pet has been looked at and had what is necessary (vaccinations, DAPP, heartworm negative, etc.). The certificates are required in states like Minnesota, Washington. The organization is thankful to the city. They are especially in need of foster families. They only have four right now and could use 20. Other members of the group are Carol Heinz, Donna Stavinoha and Sara Anne Polit. Donations are tax-deductible and can be sent to: Atascosa Animal Allies, at PO Box 249, Pleasanton, Texas 78064. There is also a donation button on their Facebook page. Also, if you go to their Facebook page and click on “About Us” you can find their website and it has all of the animals listed. Caron updates it daily. Atascosa Animal Allies wishes to thank those that attended the volunteer work day: Mayor Clinton J. Powell, Pleasanton City council members Robert Earl Wood and Diana Prasifka and her husband Rusty, as well as Jeanne-Burton Israel. They also send a special thanks to Pleasanton Animal Control Officer Leandro Garcia and Captain Johnny Gonzales for caring for the animals in the shelter. Thanks to Hailey Stimpson with Fairytales, Glitter and Grace Photography for taking wonderful photos of the dogs.